​​Photos have become an important part of people’s everyday life. Everyone can take pictures with phones, cameras, and even computers. Editing and organizing photos is a separate story and can take much time. Nevertheless, Mac users are happy to have several apps that help them deal with such difficult tasks in a couple of clicks! Here are top 5 fantastic tools that are incredibly useful to everyone who is a photo-fan. We are going to start with built-in tools and continue with third-party apps that are going to be handy. Apple has a powerful app for Macs, this software was introduced in 2015. Photos is well-known among Mac users and highly appreciated by all of them, as it offers all the necessary beginner tools for photo editing. It is simple, intuitive, and has a set of necessary features such as cropping, filters, Smart sliders, and even the Markup tool (it adds texts, signatures, shapes and creates sketches). Other interesting features of Photos include ‘Revert’ that compares edited photos to their original versions and ‘Light’ that reveals all hidden details. The software is integrated to iCloud library so you can access your edited photos from any device, not only from Mac. You can create collections and years thanks to the 'Moments feature. It can use face recognition and create groups by person. You can choose any combination for organizing your photos. Photos has themes that allow users to create photo books, calendars, and other interesting things. There are also tools for high-quality professional printing. 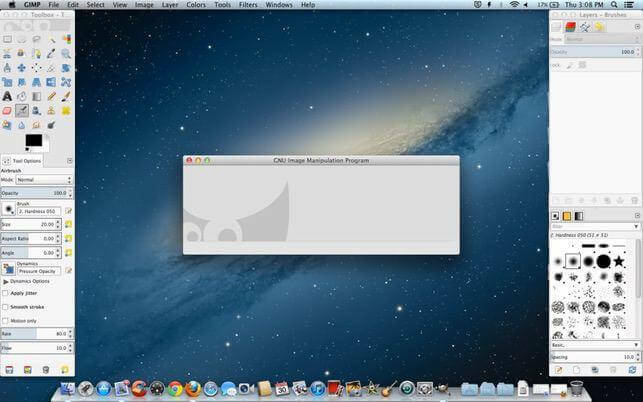 All in all, this is a quite powerful tool designed for modern Mac users. It includes everything that an average person needs: easy editing, integration to other Apple services, photo management features. That is why I have put it in the 1st place. This photo editor produced by Skylum has both JPEG and RAW editing opportunities. This application is suitable for beginners and professionals, its interface is comfortable for everyone. And the price is nice as well, as this is cheaper than many other professional photo editing tools for Mac. The software offers users 45 filters and selective adjustments, for example, noise reduction. You can get a high-quality picture just in one click! 60 presets on the top of which you can continue making adjustments will help you create a masterpiece from an ordinary image. Luminar works very fast, for me it is nearly 6 times faster than other photo editing software like Photoshop or Lightroom. 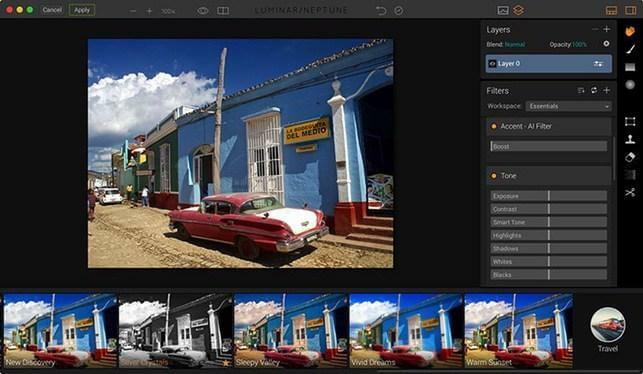 Thanks to all these factors, Luminar is becoming the most preferred photo editor for Mac. If you are a beginner who wants to skyrocket skills in photo editing, this app is the best one. You will get to the next level as soon as you are ready, and the app has all the necessary tools for that. 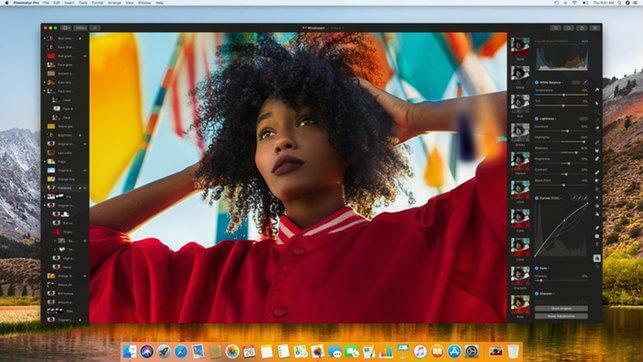 The Pixelmator app for Mac offers various features: 40+ tools for selection, retouching, painting, navigation, color management and correction, and many more. Users can choose from 50+ filters to enhance their photos. This app allows people to edit images, draw, paint, sketch, add shapes and add many of 160+ effects. You can not only edit your photos but also create logos and work with graphics from any perspective. Noteworthy, a layer-based picture editing makes the working process logically organized. For me, Pixelmator is the next best photo editing software for Mac. This open source image editing tool for Mac is developed by volunteers from all over the world. It is commonly used for picture editing and retouching, drawing and converting between different formats (JPEG, BMP, GIF, TIFF, PNG, PDF and RAW, etc). GIMP also works with layers and channels. You can use filters, effects, brushes, vector Path tools, and many other features necessary for advanced photo editing (clone, dodge & burn, healing brush tools). The app handles CMYK, RGB, and water-color formats as well as hexadecimal ones. Well, you see, this is a professional tool and its main advantage is the price - the app is absolutely free. This is the best one among free photo editing apps for Mac. Though, GIMP’s interface seems unusual to new users and can cause problems. However, once you are used to it, finding the necessary tool will be a piece of cake. 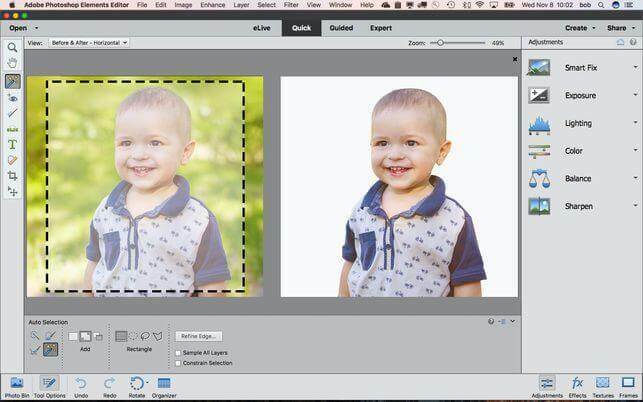 Adobe Photoshop is one of the best photo editing tools for Mac. Its audience is entry-level users, so its interface is intuitive and photo editing process doesn’t take users much time. Everything is performed in a simplified manner. You are free to create slideshows, collages, scrapbook pages, calendars and cards with this application. It can help you organize photos based on a certain parameter. In general, the software can offer you everything from one-click solutions to more advanced editing options. I would say that Elements is a great choice for those who want to be creative, but don’t want to dive into the technical details.